SIGURD NEUBAUER , POLITICO MAGAZINE|AIWA! 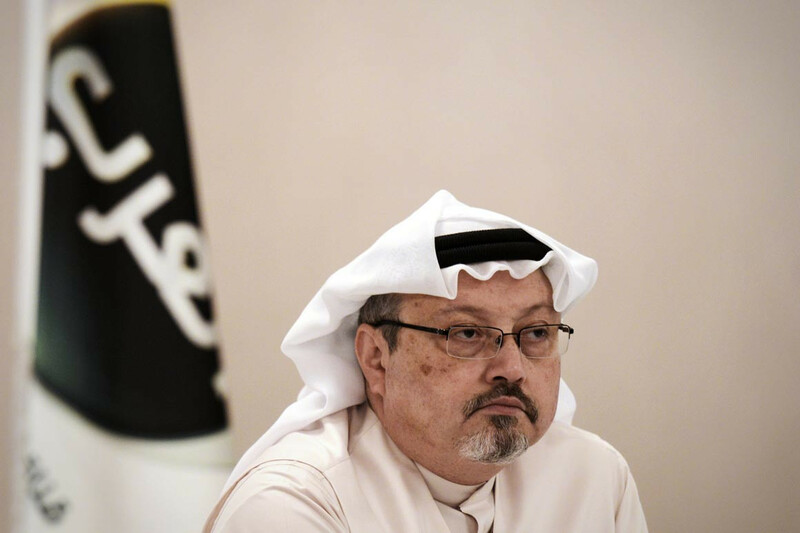 NO!|The brutal murder of my friend, journalist Jamal Khashoggi, inside the Saudi consulate in Istanbul this past October, has triggered a geopolitical tsunami. Unlike during the immediate aftermath of the September 11, 2001, terrorist attacks, when the American political establishment was mostly unified in its quest to preserve the U.S.-Saudi partnership, the consensus in Congress now is that business as usual—as defined by the presidency of Donald Trump—cannot continue. Jamal, as all of us who had the privilege of knowing him are aware, was a proud Saudi patriot—one who, overall, was supportive of Prince Mohammed bin Salman’s economic and social reform agenda in the country. But he was highly critical of the crown prince’s repressive tactics and had no illusions about the brutality of the Saudi government—for instance, when several high-profile Saudis, including members of the royal family, were detained at the Ritz-Carlton in Riyadh in late 2017. Jamal was also highly critical of the Saudi leadership’s embrace of President Trump. The community of Gulf scholars in Washington is small. I first met Jamal sometime in early 2015, when he came to speak at a think tank event. He was not a sleek public relations executive playing up Saudi Arabia’s “historic change” or Prince Mohammed’s “personal virtues” as a larger-then-life figure transforming his country from Wahabi Islam into a modern state where women would have equal rights and the youth would be able to watch movies at theaters. But nor did Jamal engage in hyper anti-Iran rhetoric, which has become fashionable in certain Washington policy circles where Prince Mohammed’s own hardline stance on Tehran has been embraced. Instead, Jamal, who eventually sought a self-imposed exile in Washington in 2017, engaged everyone interested in Saudi Arabia and in the Arab region generally. He always did so in good faith. His reasoning and analysis were fact-based as opposed to the polemical, which is why he was so well-liked and respected in Washington policy circles. Outside these circles and among readers of his Washington Post column, Jamal wasn’t well-known until his death. Now, for U.S. lawmakers, Democrats and Republicans alike, the Khashoggi affair has spurred a widespread indictment of Trump’s transactional foreign policy approach. Finally, these lawmakers have begun to argue publicly that the United States cannot abide by the Saudi kingdom’s war in Yemen, or other atrocities like Jamal’s death, in exchange for Saudi oil or investments in the U.S. economy. Most notably, the Senate recently passed a resolution unanimously accusing Prince Mohammed of orchestrating the Khashoggi murder, in line with the CIA’s assessment of the death. (The Saudi government has denied that the crown prince was involved.) The Senate also voted 56-41 to pass a resolution that would withdraw U.S. support for Saudi forces in the civil war in Yemen. While Trump still appears to be committed to the Saudis, these resolutions have set the stage for further congressional investigation into the Khashoggi death and Trump’s Yemen policy, once Democrats resume control of the House in January. What’s more, it was only after the CIA shared with Congress its assessment about the Saudis’ role in Khashoggi’s death that Yemen’s Saudi-backed government in-exile—which is based in Riyadh—finally adhered to international pressure and agreed earlier this month to engage in United Nations-sponsored peace talks in Sweden with Yemen’s Iranian-backed Houthi rebels. Before that, repeated calls for peace talks by Secretary of State Mike Pompeo and Defense Secretary James Mattis were consistently ignored, even as Yemen’s humanitarian catastrophe deteriorated. That the peace talks are now occurring suggests the Saudis, and their allies the Emiratis, are on their heels given the intense pushback in the United States to Jamal’s tragic death. While Congress’ renewed interest in Yemen and the peace talks are positive developments, Jamal has unfortunately also been smeared since his death in what I believe might be a sinister Washington influence game meant to salvage Prince Mohammed’s damaged reputation. When the crown prince visited the United States this past spring, there was a flurry of positive press about him ushering in reforms that would modernize the Saudi nation. Many of those writing in favor of the crown prince are highly skeptical of reforms in Qatar, a frequent competitor of Saudi Arabia. Some of these same people have, since Jamal’s death, smeared him on Twitter as a Qatari “agent” and even a Muslim Brotherhood supporter, based on his friendship with a mutual friend of ours who is an executive with Qatar Foundation International, an educational institute for Arabic language and culture that is supported by the Qatari government. But the truth is that Jamal always thought of himself as an independent voice, which is part of what made his analysis so widely sought after. He never wanted to become a political pawn in the Gulf crisis, which pits Saudi Arabia, the United Arab Emirates and Bahrain against Qatar. Prior to his arrival in Washington, he reached out to a UAE-funded think tank here to secure an institutional affiliation; he did not end up joining the organization, but his interest should make clear that he is no agent of Qatar’s. He also turned down invitations to appear on Qatar’s Al Jazeera network, even though he was friendly with many Al Jazeera journalists. And he engaged on a regular basis with Prince Mohammed’s surrogates in Washington, including his brother, Khalid Bin Salman, the Saudi ambassador to Washington. In Jamal Khashoggi, we have lost someone who was friendly with policy influencers on all sides of the Gulf crisis, always willing to share his views about a changing Saudi Arabia with anyone interested, myself included, without engaging in the frantic propaganda to which Washington is too often susceptible. His tragic death has also revealed how calamitous Washington’s recent policy toward the Gulf region is. Our solace now is that, perhaps, we can finally have hope that human rights, freedom of expression and a free media might once again become central pillars of the U.S. foreign policy agenda in the Arab world.